Whether it's simply the extra interest or those pesky 'unauthorised overdraft charges' you want to avoid, there are a few simple financial techniques to help you steer clear of these costs and keep your cash in your pocket. If you've ever worked in retail, hospitality or a school tuck shop, you'll already know the power of the float. A float is a form of petty cash used to give customers change, and generally keep the cash flowing at a business. In your personal life, it's a physical reminder of how much money you have left to spend on daily expenses at the end of the month. It's also a way to ensure you keep track of all outgoings, making sure you spend wisely and know where your money goes. Aim to always keep a set amount of money in your account, regardless of your outgoings. Even if that amount is as small as £50, it will go some way to helping you avoid overdraft fees. A digital alternative to a float, our free Money Dashboard money management software collects all of your income and outgoings into one single place. Our intelligent software automatically imports read only data from your account, and tags it according to expense type (for example, mortgage, utilities and groceries) giving you a clear view of your monthly finances. Once you get into the habit of controlling your expenses and planning spends rather than making snap decisions, you can even map out your future goals to boost your savings and investments. This is a sure fire way to prevent overdraft fees and other needless financial charges in the future. Another benefit of keeping a close eye on your finances is that you have a clear view of the most cost effective credit route. For example, if you have interest-free balance transfers, a 0% interest purchase period or a good cash back deal on your credit card, you may find that last minute expenses are better placed here, rather than in an overstretched bank account. In extreme circumstances, short term loans may be an option. But only if you have a precise timetable to pay it back, and you've calculated the exact cost. Letting payday loans drag can open up a whole range of hidden costs that may end up dwarfing potential overdraft charges. If your obligations are simply forcing you too close to your limit for comfort, speak to your bank. You are their customer, and it's in their interest to keep you financially stable. 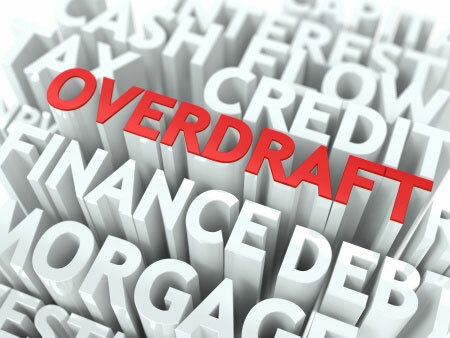 What's more, the legal wrangling over unauthorised overdraft charges that took place in 2009 means that the Financial Ombudsman Service requires banks to 'deal positively and sympathetically with a consumer in financial hardship'. So, should you be charged fees after seeking help, you could have a legitimate complaint to take to the Ombudsman. Of course, if you continue to have problems with debt, you should seek additional help from one of numerous charitable bodies including the Citizens Advice Bureau, The Debt Support Trust, Step Change or National Debtline. You can also take a look at our quick guide to keeping on top of your debts.